Overcast. Slight chance of a rain shower. High 71F. Winds S at 10 to 15 mph.. 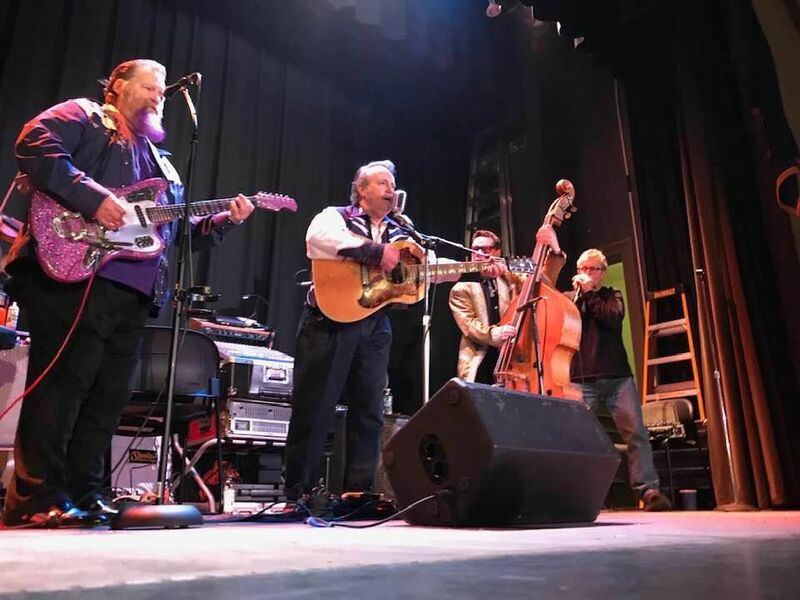 The Starline Rhythm Boys return to their favorite haunt Charlie O’s on Friday. Mandolinist Jacob Joliff brings his band to the Zen Barn in Waterbury Center Saturday. The live music scene can be spotty at this time of year, especially around town. However, our local ski areas heat up, offering live entertainment on a weekly basis for tourists and locals alike. Many times, these gigs are not advertised online; the resorts often have a captive audience. Some go more big-time, however, and none go bigger than The Rusty Nail on the Mountain Road in Stowe, which books premier talent from our area and beyond. They’ve got a pair of sweet shows this weekend that will be well worth the trip up Route 100 to check out. Read on. There are not many solid New Orleans-style brass bands to be found outside the Big Easy. It seems difficult to capture the magic of the birthplace of jazz without being from there. One exception comes from our southernmost New England state, Connecticut, and they are indeed exceptional. On Friday night, the Nail is throwing down a Mardi Gras party with The Funky Dawgz Brass Band, and I could not think of a more appropriate act for the festivities. I booked them back in 2017 for the HONK! festival in downtown Montpelier, and, boy, did they deliver. Ultra-authentic ‘N’awlins’ second-line brass is offered up with high-energy and infectious performance instrumentally and vocally. In short, these guys are the real deal, and this one gets my pick of the week. Tickets for the 9 p.m. show are $10 in advance and $15 at the door, which is well worth it for an act of this quality. On Saturday night, the Nail switches gears when it hosts Boston-based Grateful Dead tribute act Bearly Dead. The sprawling act actually has more members than the original band, so they should have no problem filling out the sound. That one also starts at 9 p.m. for the same ticket prices as Friday night’s show. Just down the road in Waterbury Center, Zen Barn has continued its strong programming into the new year, with no signs of slowing down. On Saturday night at 9 p.m., the Zen will host a world class mandolinist when the Jacob Joliff Band returns to the resto stage. 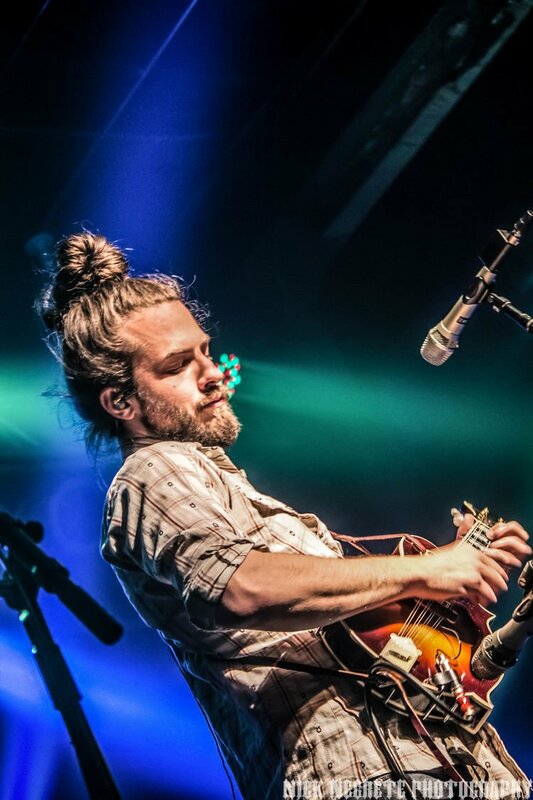 Known primarily for his work with bluegrass supergroup The Yonder Mountain String Band, the dude has also worked with the likes of Sam Bush, Jerry Douglas, Chris Thile and David Grisman, to name but a few. This one is likely to sell out at $15 ($18 at the door), so for advance tickets, visit www.zenbarnvt.com. On Sunday, Zen Barn presents an early show with local jazz luminary Paul Asbell. His latest work, “Burmese Panther,” is a body of original compositions in various jazz and roots styles that will be performed by Paul alongside his world-class ensemble. Tickets for the 4:30 p.m. performance are $12 in advance and $15 at the door. Hopping back over to the capital city, new Charlie O’s booking guru Jeffrey has gotten the first part of his March calendar out promptly, so I can cover what’s going on at our local dive for nice people, which is great as they have a solid lineup this weekend. On Friday night, Sara Grace holds down the early slot with her soul-folk sound, a show I would expect to be well-attended starting at 6 p.m. Later on in the evening, local honky-tonk heroes The Starline Rhythm Boys return to their favorite haunt to crank out their signature roadhouse sound starting at 9 p.m.
On Saturday night, O’s switches gears with Papa Greybeard and Friends playing acoustic blues and classic rock in the 6 p.m. slot. To close out the weekend programming, O’s is going with hip-hop, featuring Maiden Voyage, Sed One, Mr. Burns and C. Shreve. Maiden Voyage features one of my favorite rhyme-spitters in the enigmatic Jarv, who is worth the price of admission on his own. Considering that price is free, this is a great one for hip-hop fans starting once again at 9 p.m.
Tonight at 8 p.m., Barre-based outlaw country artist Tim Brick will take the black box stage at Sweet Melissa’s on the corner of Elm and Langdon streets in the shadow of the golden dome. There will also be live band karaoke as usual on Sunday night at 8:30 p.m. On Friday and Saturday, you’ll just have to show up to see what Mel’s has in store as the calendar has not been released at press time. That wraps up this week. Get out of town, or stay within walking distance, but either way, go see live music!